Developed in 2003-2004, diameter 5 mm, steering range: ±110º in all directions. 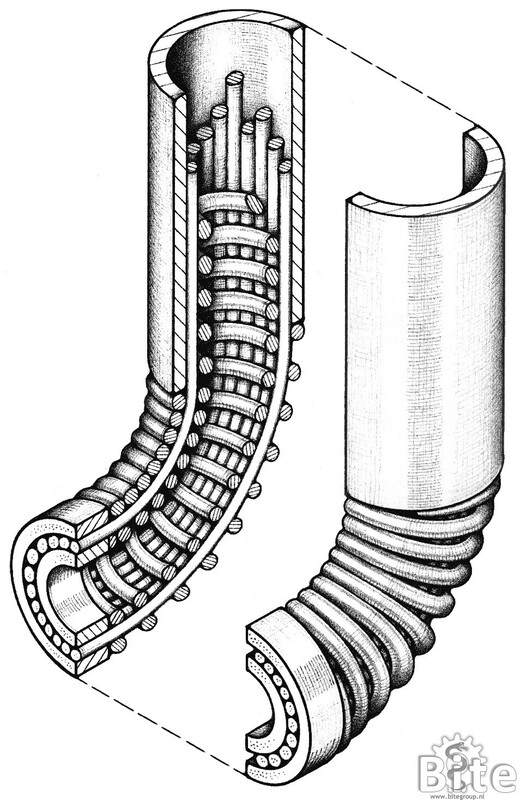 Construction equivalent to Endo-Periscope II, however with Ring-Springs replaced by novel patented “Cable-Ring” mechanism based on tentacles of squid. 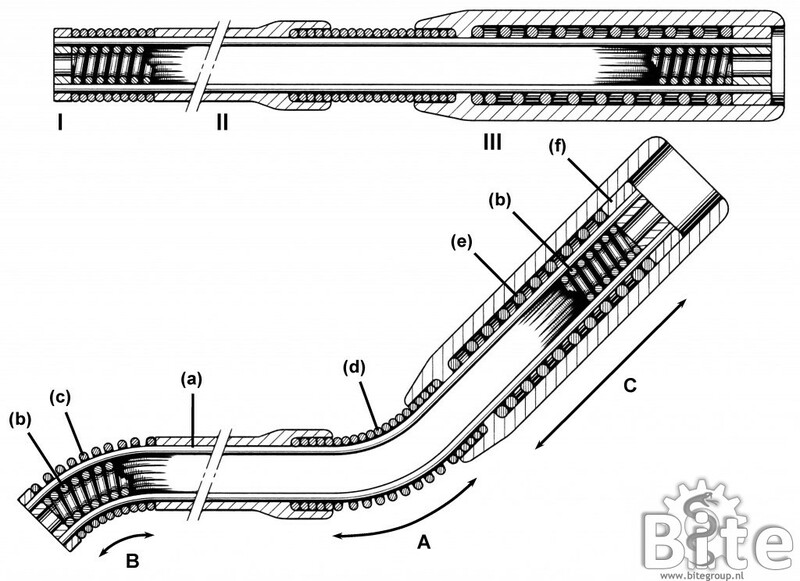 The Cable-Ring mechanism consists of a ring of 22 steel cables (Ø0.45 mm) enclosed by two conventional coil springs, allowing only axial cable displacements to control the motion of the steerable tip. The Cable-Ring mechanism is entirely constructed out of standard parts and therefore very suitable for low cost mass production. 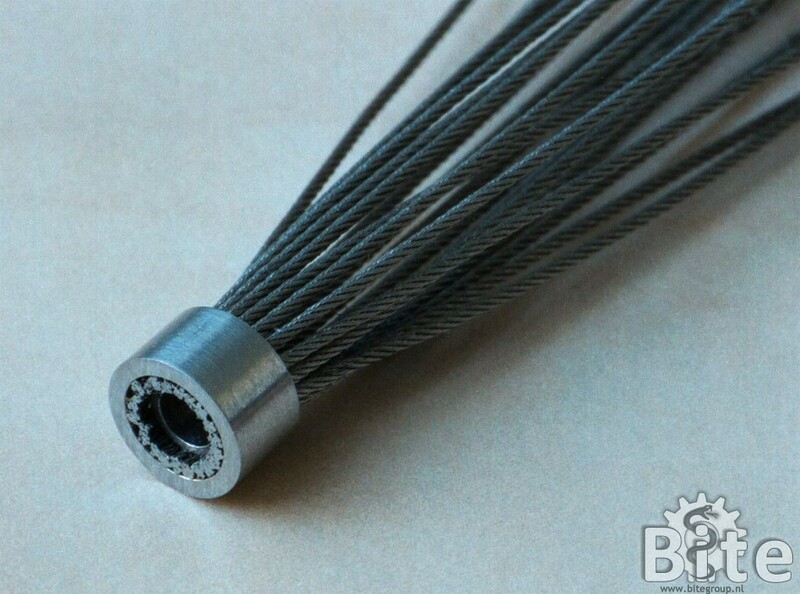 The Cable-Ring mechanism is being commercialized worldwide by spin-off company DEAM. Breedveld P. (2010). 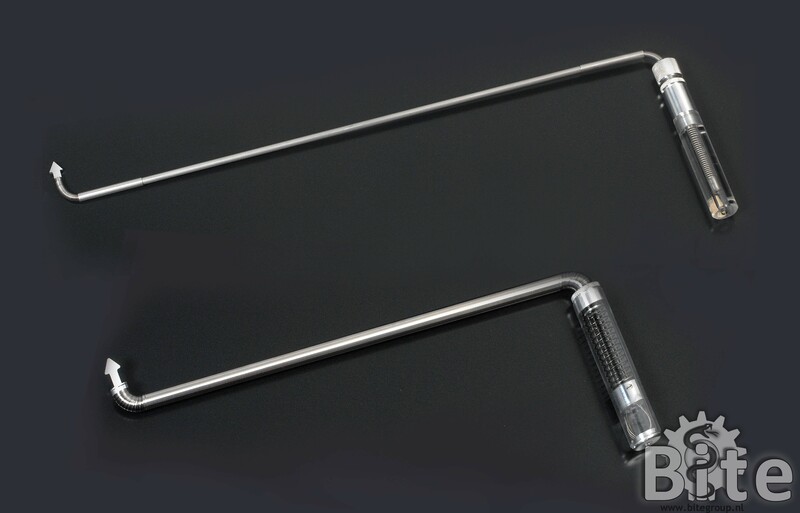 Steerable laparoscopic cable-ring forceps. Proc. 2010 ASME Design of Medical Devices Conference, April 13-15, Minneapolis, MN, USA, Paper DMD2010-3853, 7 p.
Breedveld P. (2010). Multi-steerable instruments for endo-nasal skull base surgery. Abstr. 22nd International Conference of Society for Medical innovation and Technology (SMIT), Sept. 2-4, Trondheim, Norway, 1 p.
Breedveld P., Scheltes J.S., Begemann M.J.S. (2009). Bio-Inspired “Tentacle” mechanism for steerable endoscopes, catheters, micro surgical instruments and steerable laparoscopic grasping forceps. Proc. 17th International Congress of the European Association for Endoscopic Surgery (EAES), June 17-20, Praha, Czech Republic, p. 58. Breedveld P. (2007) (in Dutch). Stuurmechanisme voor sleutelgatoperaties. Mikroniek, No. 4, pp. 14-18. Breedveld P., Scheltes J.S., Begemann M.J.S. (2007). 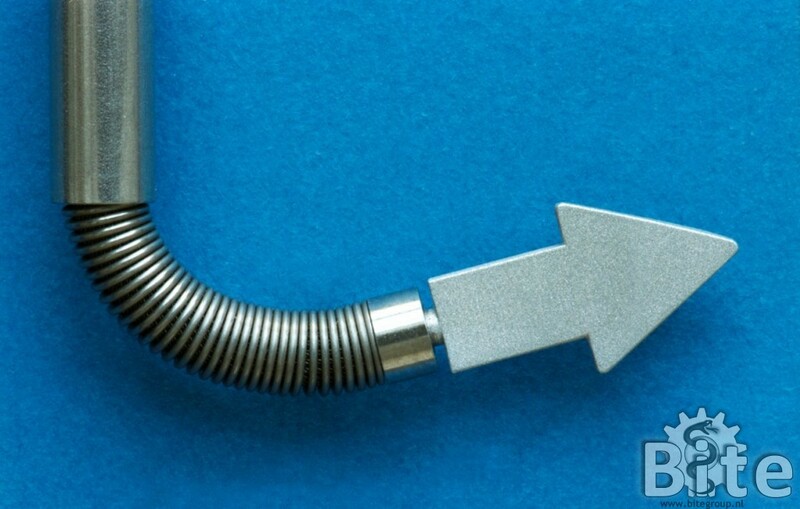 Miniature steerable “tentacle” mechanism for use in endoscopes, instruments and catheters. Proc. 1st Dutch Conference on Bio-Medical Engineering, Jan. 18-19, Egmond aan Zee, the Netherlands, p. 111. Breedveld P. (2006). Bio-inspired design of surgical instruments & intestine inspection devices. 1st International Medical-Engineering Joint Biomechanics Symposium, July 29, Tamachi Campus Innovation Center, Tokyo Institute of Technology, Tokyo, Japan, pp. S1-S6. Breedveld P., Scheltes J.S., Begemann M.J.S. (2006). 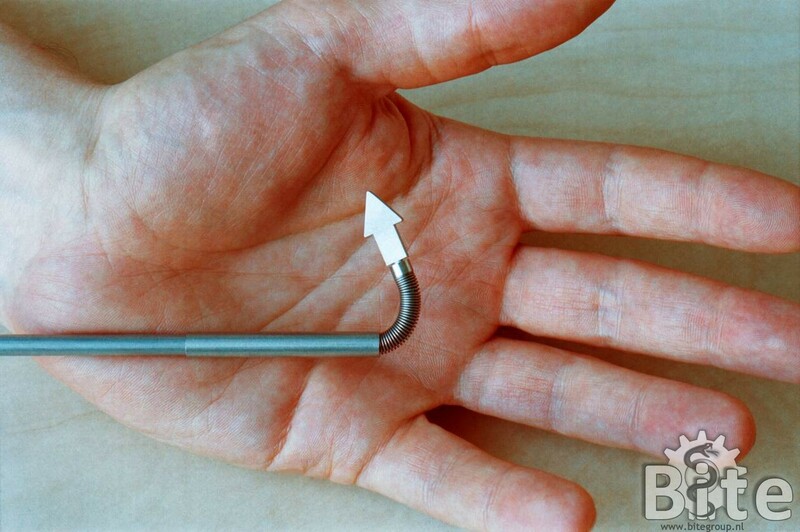 Small and disposable “tentacle” mechanism of steerable endoscopes, instruments and catheters. Proc. 10th World Congress of Endoscopic Surgery, Sept. 14-16, Berlin, Germany, p. 107. Breedveld P., Scheltes J.S., Blom E.M., Verheij J.E.I. (2005) Miniature steerable mechanism based on tentacle of squid for use in endoscopes, instruments and catheters. Proc. 13th International Congress of the European Association for Endoscopic Surgery (EAES), June 1-4, Venice, Italy, p. 67.